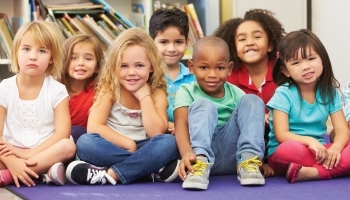 Social-emotional learning (or SEL) encourages children to develop necessary social skills for school. 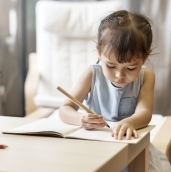 Research suggests social-emotional development leads to greater adulthood success, so effectively wiring these skills is essential for infants, toddlers, and preschoolers as part of their learning and development process. 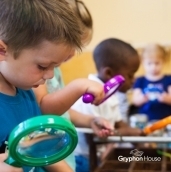 Gryphon House has a variety of activities to ensure parents and educators alike take the necessary steps in promoting social-emotional development in children. Student's that do not speak English as a first language can often face disadvantages compared to their peers who are fluent in English. Journaling is one of the best ways for students to develop their creative thinking and writing skills. Journals can be used for various different subjects to help students develop their learning. Children spend 180 days a year inside the classroom. 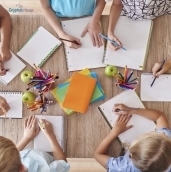 The classroom is more than just a space to take tests and receive new information—it is an environment that serves as a safe place, a home away from home, for many children. 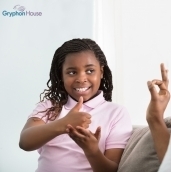 For those with hearing impairments, sign language is an essential part of their lives—without sign language, communicating effectively would be incredibly difficult. 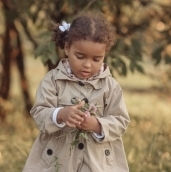 When Does Language Development Begin? 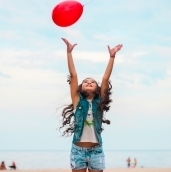 When the thought of childhood development comes to mind, often times it is met with the idea that while in utero babies develop more physically than cognitively. While babies do develop a tremendous amount physically during the time in utero, they do develop cognitively as well. Early education contains many obstacles that need to be conquered. 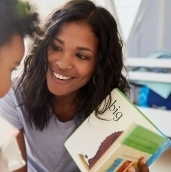 One of the largest, and most difficult, obstacles to face as an early childhood educator is the aspect of healthy boundaries in the classroom. 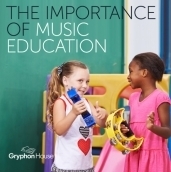 Gryphon House activities are well-researched and informative, so teachers can effectively build a foundational curriculum for their students. Books from our award-winning authors, such as Getting to the Heart of Learning by Ellen Booth Church, explore building social-emotional skills by integrating social-emotional activities into lesson plans for science, math, language, literacy and motor skills. Parents can also use social-emotional activities to encourage their children’s social interactions with pro-social games. These games guide parents in instructing toddlers and infants to be comfortable in group situations. For social-emotional development in early childhood education, our techniques and activities build the base for skills that will pay off through adulthood. 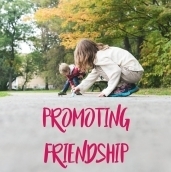 Particularly in the early stages of development, social-emotional skills encourage children to work collaboratively, a key social skill with long-term benefits. Scan our available tools and resources for emotional and social skills training. 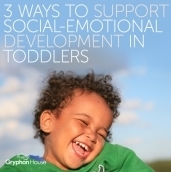 To learn more about the importance of strengthening social skills and deepening children’s emotional development, follow Gryphon House on Facebook. We continually follow the latest news and studies to find useful activities for parents and teachers.